spray paint on canvas. First in series of ten. For Sale! Email for details. 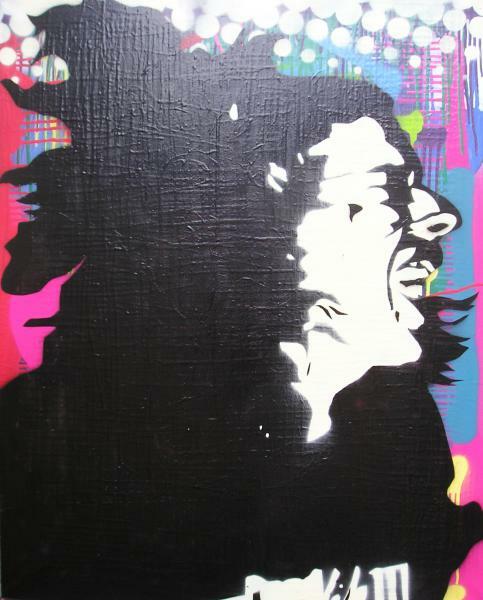 three layered stencil.